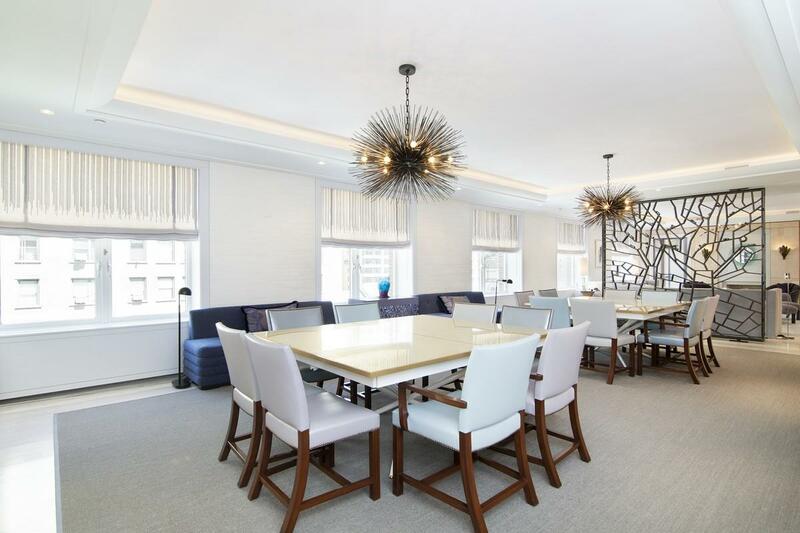 Unit 10 at 535 West End Avenue is a true full-floor masterpiece, at 8,451square feet with 7 bedrooms and 7.5 bathrooms it is the largest condo available north of 57th Street. 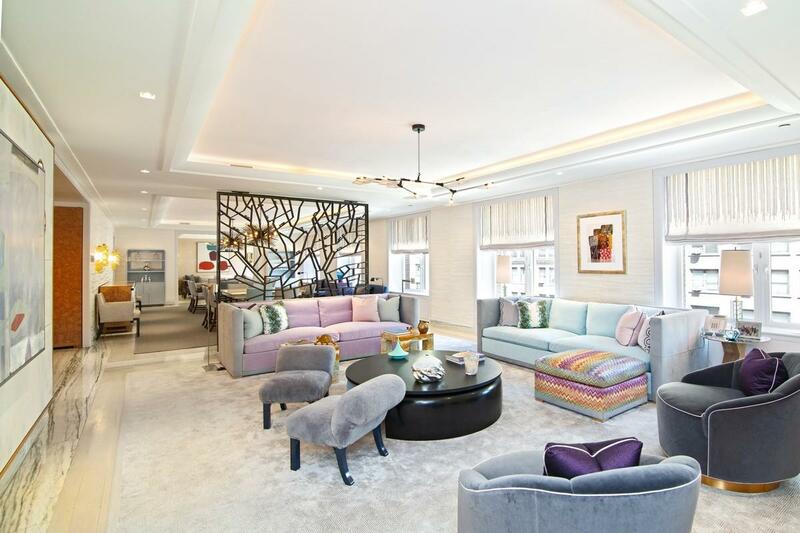 This unique residence boasts a dazzling array of custom finishes by Architectural Digest Top 100 Designer, Katherine Newman. 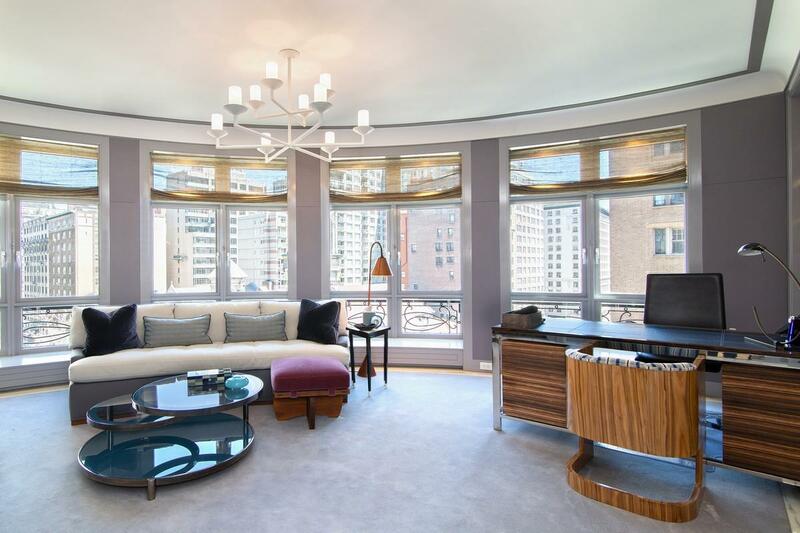 Ms. Newman created a rare design oriented space that is both harmonious and functional, with unique character in every room and space. 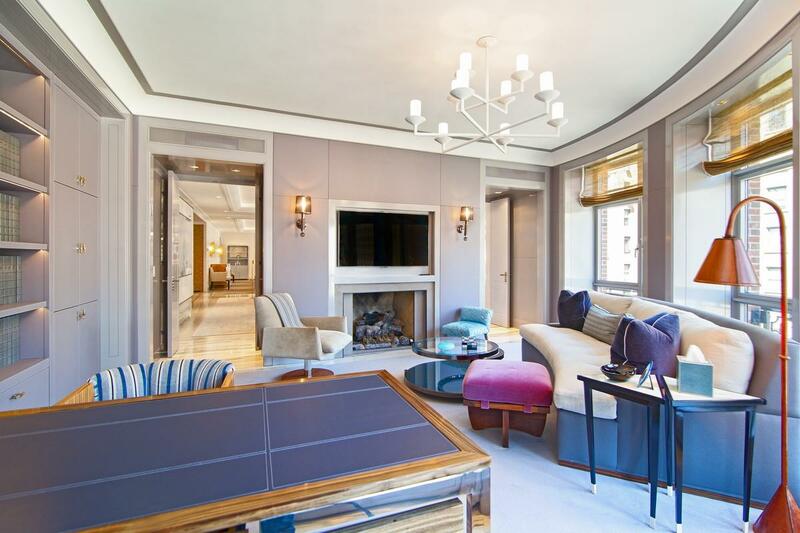 The main entrance of the home opens into a dramatic 30-ft long gallery featuring a huge coat closet as well as a pair of additional closets. Beyond the gallery, the home expands into a 55-ft long Great Room, with five oversized North-facing windows. A secluded corner library and office with a gas fireplace, leather clad millwork and lacquer walls sits just off the living area. There is also a comfortable family room with seating for at least ten just off the dining space. The oversized eat-in kitchen can accommodate an aspiring chef or an actual professional chef with room for their staff. The Caesarstone countertops are beautiful and durable with the finest quality gray marble backsplashes for accent. 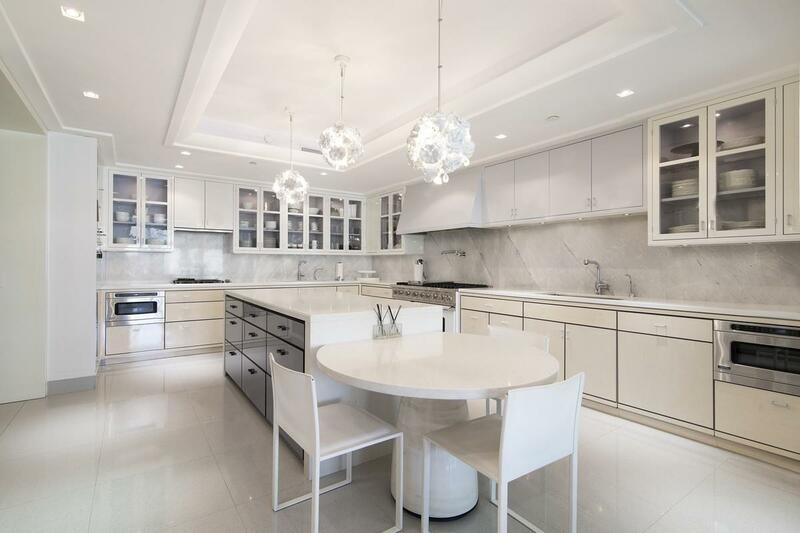 The kitchen also features an expansive central island, custom cabinetry, two sinks, two Sub-Zero refrigerators and freezers, multiple Miele wall ovens, and a 48" Viking range. 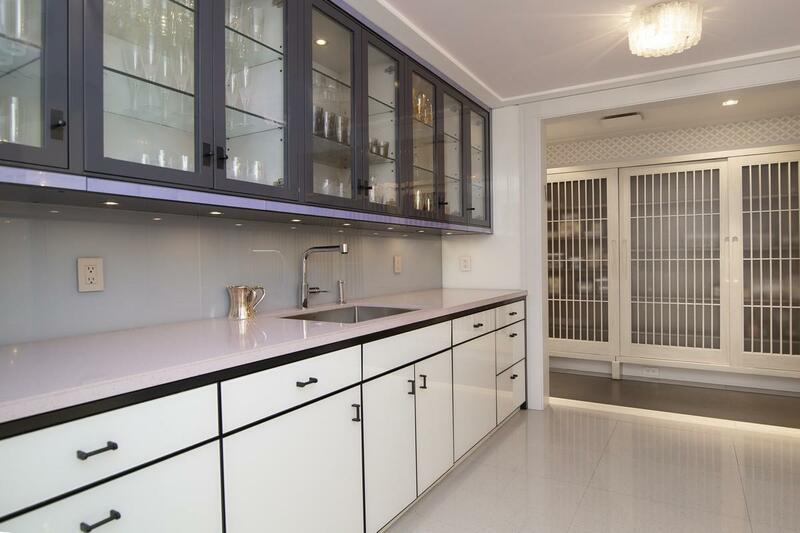 The one-of-a-kind butlers pantry has customized cabinetry, a sink and beautiful starfire back-painted glass walls. 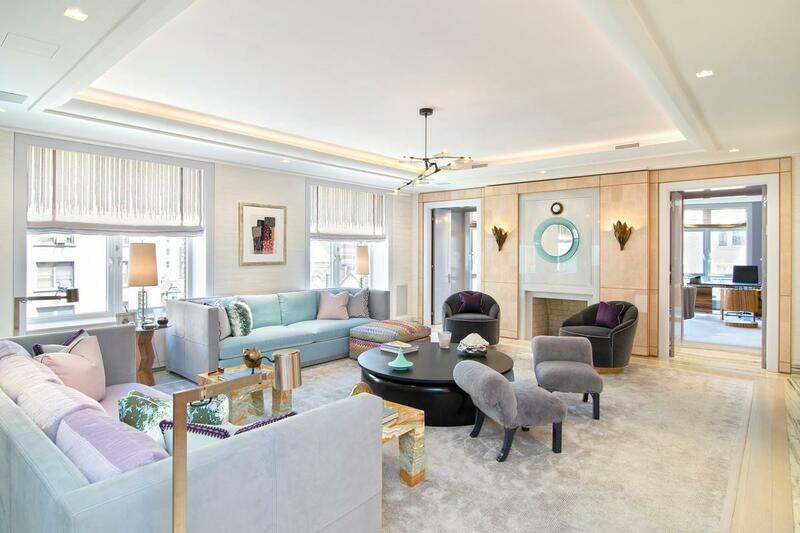 The master suite is the epitome of luxury: it features an enormous Sitting Room with custom millwork and suede shelves, a colossal custom walk-in closet with two separate alcoves and a luggage packing station. The theirs and yours en-suite bathrooms both have walk-in showers and in-wall TVs. 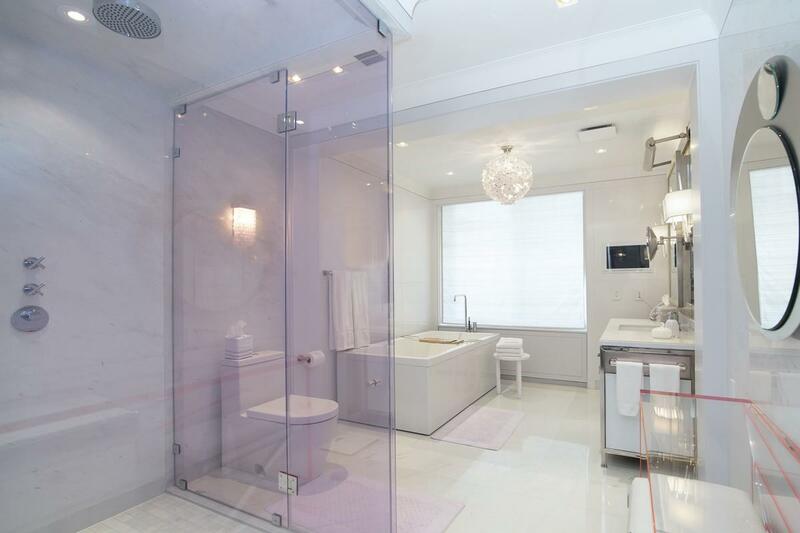 Additionally, the windowed East facing bathroom has a deep soaking tub and custom purple tinted shower enclosure. 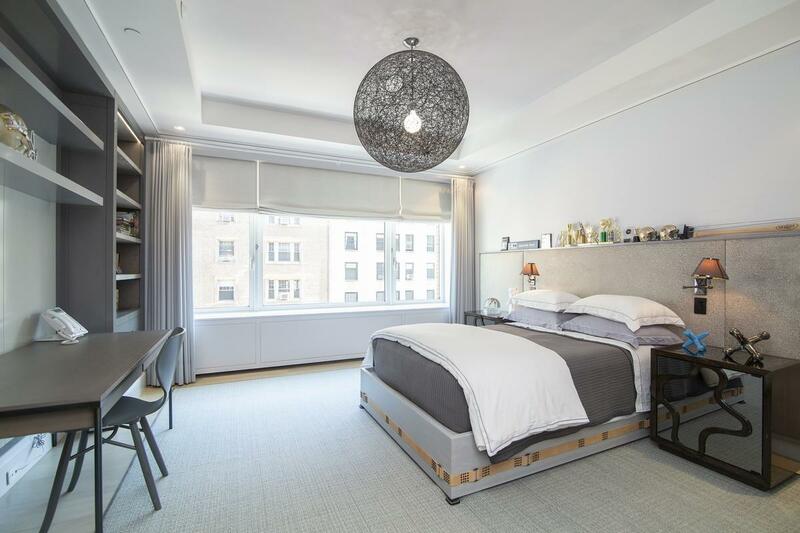 The rest of the home is a series of six generously proportioned bedrooms, each featuring spacious closets and fantastic light. 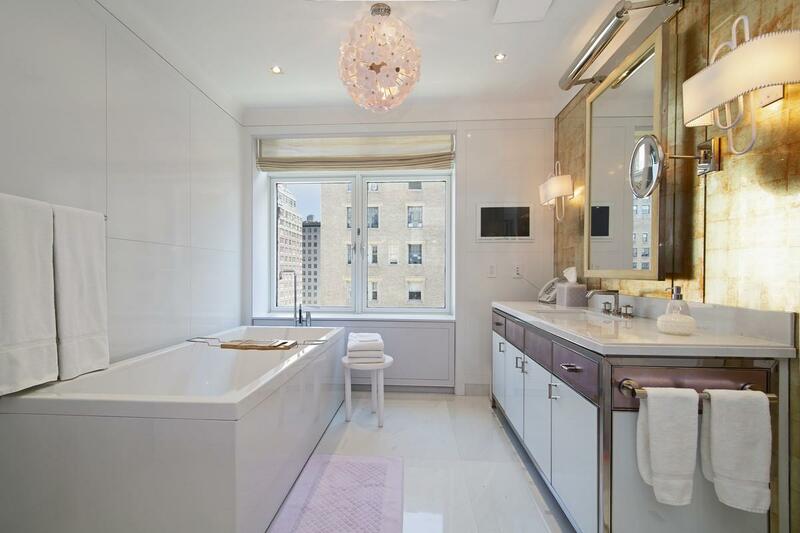 Every bathroom, closet, hallway and vestibule is unique and thoughtfully designed. The huge in-home laundry room has been given the same level of attention with two pairs of washers/dryers, custom cabinetry and beautiful beveled subway tile walls. 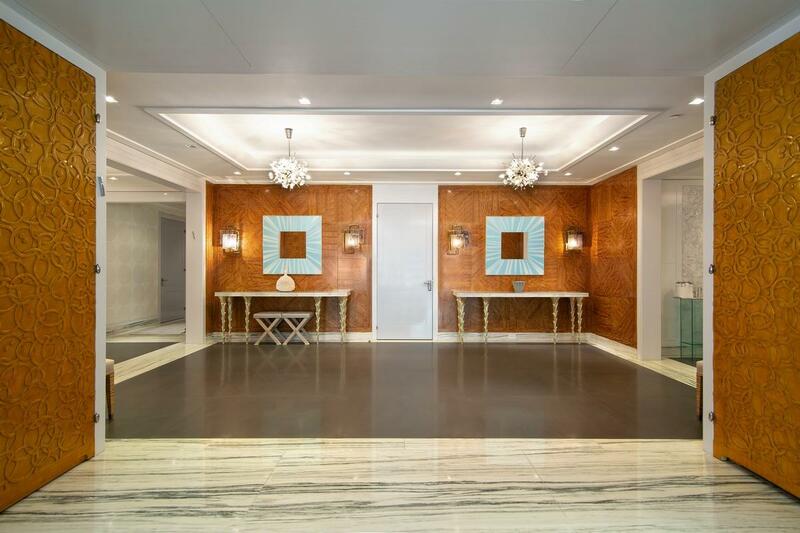 This spectacular residence also features a custom lacquer and glass private elevator landing, intricate hand-painted walls, coffered ceilings, city views, and wide plank white oak and marble flooring throughout.The building is pet friendly. 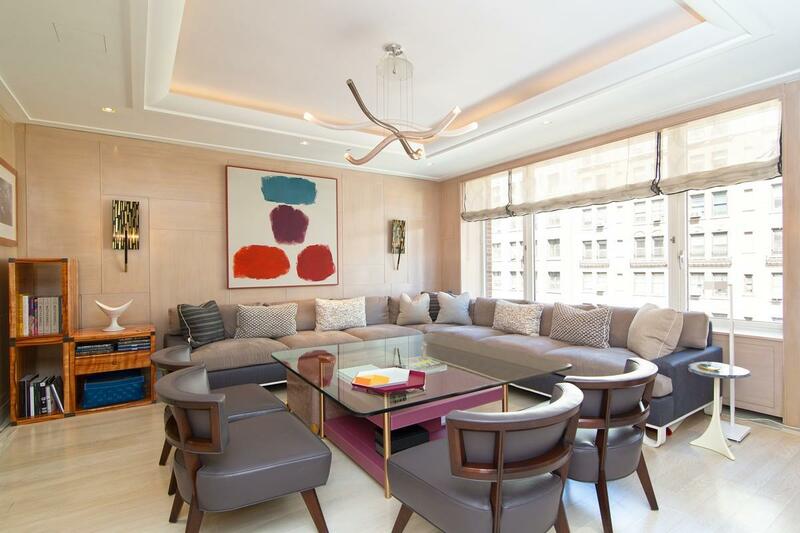 © 2019 Real Estate Board of New York. All rights reserved. The data relating to real estate for sale on this web site comes in part from the Internet Data Exchange Program of REBNY. Real estate listings held by IDX Brokerage firms other than Tawil & Team are marked with the Internet Data Exchange logo or the Internet Data Exchange thumbnail logo and detailed information about them includes the name of the listing Brokers. Information provided is deemed reliable but not guaranteed. Data last updated: Wednesday, April 24th, 2019 at 05:50:32 AM. Listing courtesy of BLU Real Estate.